We’ve seen plenty of film festivals introduce the next generation from an artistic family. 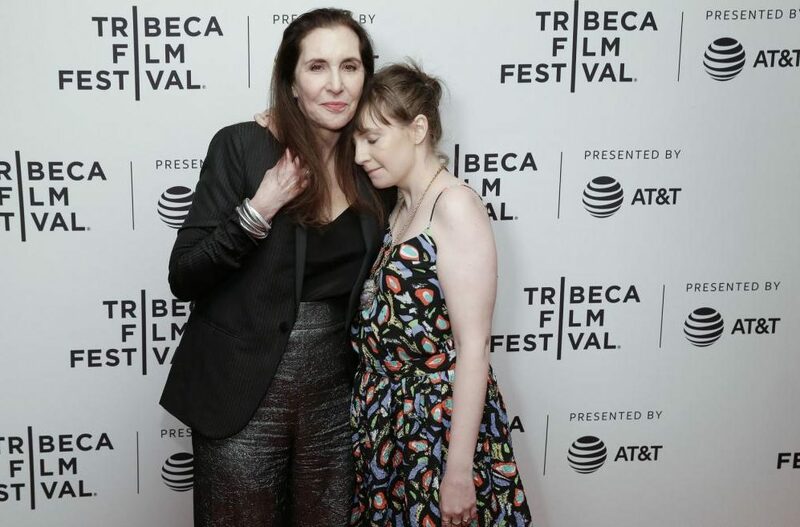 But Laurie Simmons is that rare artist making her feature film debut as a writer-director (and star) after her daughter, Lena Dunham, set the path. Not that she’s been waiting. Simmons is one of America’s more successful contemporary artists with works in museums around the world. But at this year’s Tribeca International Film Festival, she dives head first into the world of independent cinema with My Art, a witty comedy about a Manhattan artist looking to get her groove back in upstate New York countryside. Taking inspiration from classic cinema and willing band of would-be actors in town, Ellie takes on a new art project over the summer. Simmons stars alongside friends (and family) Robert Clohessy, Josh Safdie, John Rothman, Blair Brown, Parker Posey and Lena and Grace Dunham in one of Tribeca’s most crowd-pleasing films. Lesley Coffin: I saw the premiere and the Q&A you did with Lena afterward. Laurie Simmons: Oh, that was the most nervous I’ve ever been. Lesley Coffin: Doing a Q&A with Lena or introducing the film? Laurie Simmons: I’ve done live conversations with my daughter. I was just so nervous showing the movie to the public. Sitting in the theater with people watching it for the first time. It's a pretty unique experience. It’s completely different from when I walk around my own art shows. Lesley Coffin: Even though you aren’t playing yourself, you are also the lead in it, along with writing and directing the film. Did you find the medium made you feel a little more exposed than when you present other art forms? Laurie Simmons: Absolutely, it’s probably the most exposed I’ve ever felt. There’s a physical separation when you make something as an artist. You can put it out of the world but still kind of hide from it or distance yourself from that thing. It immediately because of a past work. I always feel like a put a lot of myself in my work, but after it's left my studio, it because past tense. And the emotional investment people have in a film and the characters in a film feel completely different to me. Lesley Coffin: You’ve acted on screen, most notably in Tiny Furniture. Did that spark your interest in getting into filmmaking? Laurie Simmons: My whole life I’ve been interested in filmmaking. It just never seemed available or possible to me. I still feel like being in Tiny Furniture and My Art, I don’t feel like an actress yet, I still feel like someone in a school play. But I have tremendous admiration for actors and the way they approach their craft. Most artists I know watch a ridiculous amount of movies and are in awe of actors. We’re all cinephiles. In a way, playing Ellie felt a lot like taking pictures, which is what I usually do. I went into that headspace. Lesley Coffin: The film has a lot to do with that love of cinema. I loved some of the conversations you have about the stars in classic movies you’re recreating. I’m always happy to see a William Powell reference in a movie. How did you select the scenes to include? Lesley Coffin: Did you write the screenplay around the scenes or have to find ones that would fit? Laurie Simmons: In the screenwriting process, I can’t even remember, I probably did a little of both. But my producer told me that I should film all the vignettes in their entirety, before starting production. So we filmed those scenes in March and then filmed the narrative in June and July. There was a real separation, which allowed me to feel like Ellie, and that I’d really made art. I think having all those scenes shots when I went back to the script to film the narrative, I knew what they meant. And once I saw them in their entirety, they evolved to fitting into different places in the script. city are with women, all the people she connects with in the country are guys. Knowing your work and interest in gender, did you want to play a little bit with gender roles in this film? Laurie Simmons: I did, and that’s also why I included films with cross-dressing. I’m so glad you noticed that all her buddies are men because of that kind of fits a couple of themes in my previous work. In my first movie, the 45-minute short musical has a character played by Meryl Streep who has this series of dummies circling around her as if she were the center of attention. And that’s actually a theme I love: the Mae West character surrounded by men. It’s a visual motif which comes back again and again in my work. Lesley Coffin: The guys are all great in the film because they feel like men she’d be friends with, but they’re each completely different types. How did you find the actors for those roles? 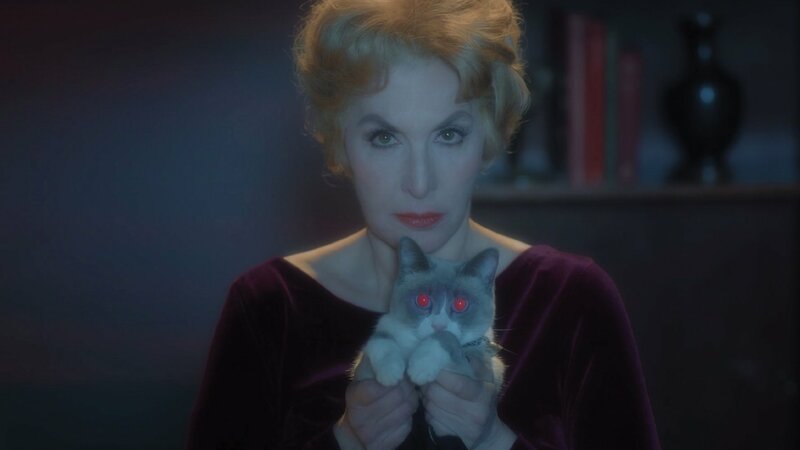 Laurie Simmons: I actually wrote the parts for them, so I heard their voices while writing it. I cast only friends in the film. And the only way that would make me feel comfortable was to cast actors I already knew. A lot of the stuff they said were things I’d heard them say. I’d been aware of Robert for a long time, he lives in my town and used to walk down out the street. And I was writing the part for him, and my husband said, “There’s your actor. Wanna meet him?” And I kept saying, “No I’m not ready yet.” Then I finally met him through a mutual friend and when I met him, he started telling me stories, and I started writing those stories into the script. Those things he said about his father and brother being a cop came from those conversations. When Johnny was at the Q&A, talking about what a great time he had, I was just struck by how similar he was to his character. He thinks everything’s so fabulous. Lesley Coffin: There’s a sense that they treated the film like summer stock, a chance to work and play. Laurie Simmons: Summer theater’s a huge influence on me. Summer theater, camp plays, and regional theater programs. I love those Shakespeare comedies like A Midsummer Night’s Dream and As You Like It, the more playful parts of the French New Wave. I wanted the film to have a sense that we were in this new, magical place for a while. And one of the biggest concerns I had was how to make people feel like they’d been somewhere in 86 minutes. Television shows are given 10 to 12 episodes to get people to feel an intimacy with their characters. I needed a little magic to make it work. Lesley Coffin: Writing Ellie, you made her an artist like yourself, but decided to write her as a woman without the marriage and family ties you have in your own life. What motivated you to write Ellie that way? Laurie Simmons: I think it was really important to me to have a character who felt like a lot of women I know, who has her work and a life but doesn’t have a mate. And feels happy about her life. Ellie was looking for something in her work, but she isn’t looking for romance. Everything’s kind of okay in her life and that way of life describes a lot of women in my life. They simply don’t prescribe to the traditional way of life. She’s really okay with her life. And those are the types of women I want to see more of in the film.